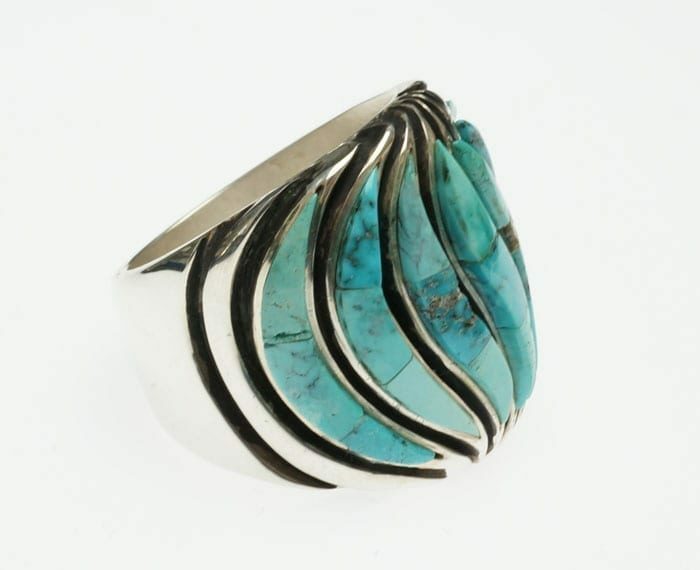 Blue Diamond turquoise has not been mined since the 1970’s, so it is a precious commodity. Size 11; 1″ at widest, tapering to 5/16″. Wanesia Misquadace has incorporated the traditional floral and geometric designs of her people's birch bark bitings and beadwork into her elegant sterling silver cuttlefish-cast jewelry. This ring has a beautiful faceted iolite stone, which is as brilliant as it looks in the first image. Size 7 3/4; 5/16" wide band. 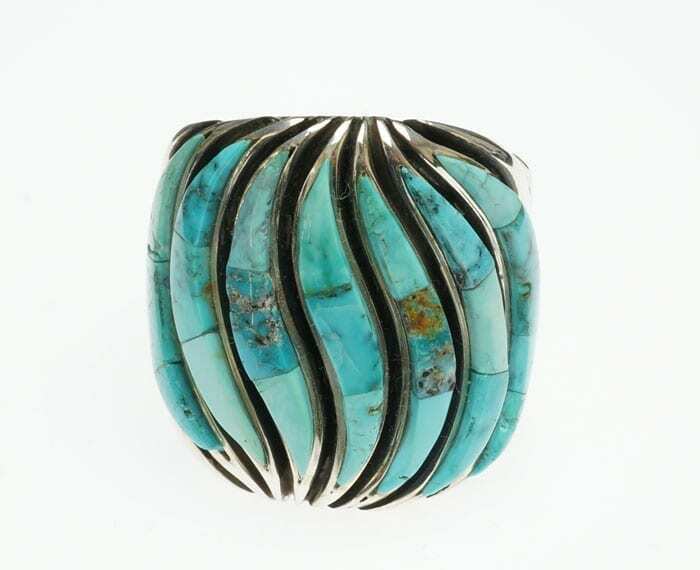 This sterling silver ring has a 14k gold overlay of shimmering waves. All other designs, including the dragonfly, turtle, stars, and more, are pierced. Nicely pebbled texture. Size 8; band width ranges from 1/4" to 1/2". 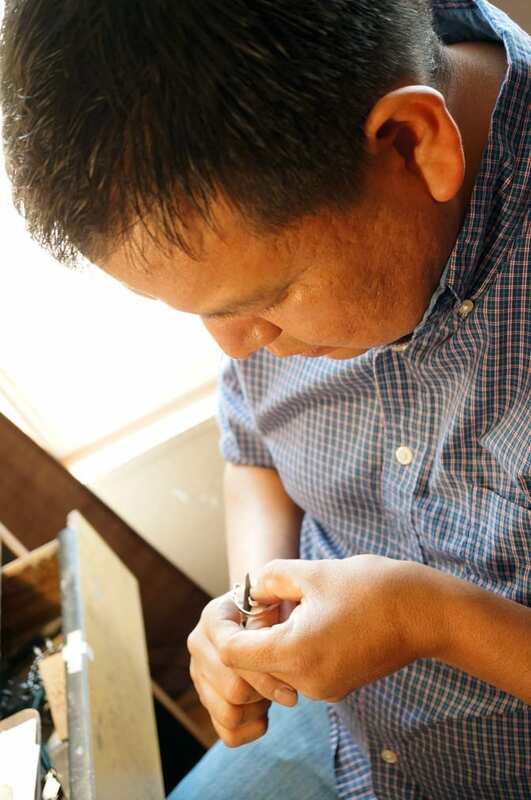 Shawn Bluejacket's jewelry is exquisite, unique, and always striking. Beautiful faceted apatite in a sterling silver setting. This ring is adjustable. Please tell us what size you need and we will adjust it for you. Stone is 7/8" x 7/8"; band is 1/8" wide. 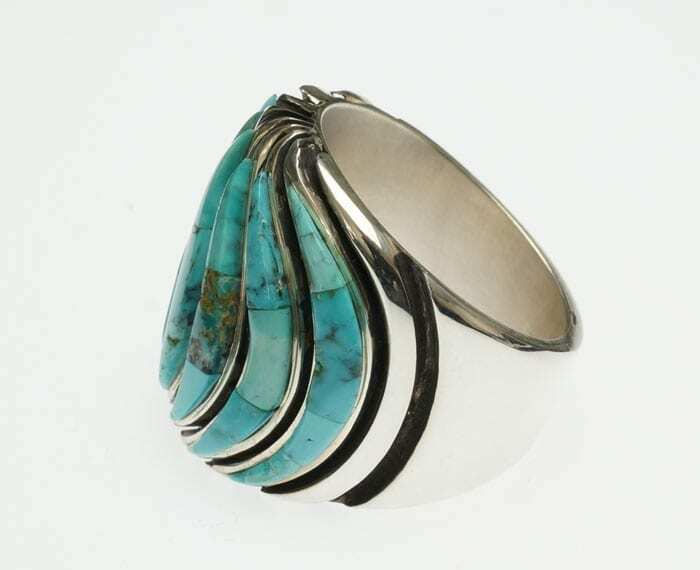 This ring has a beautiful chrysoprase cabochon set in an 18k gold bezel. 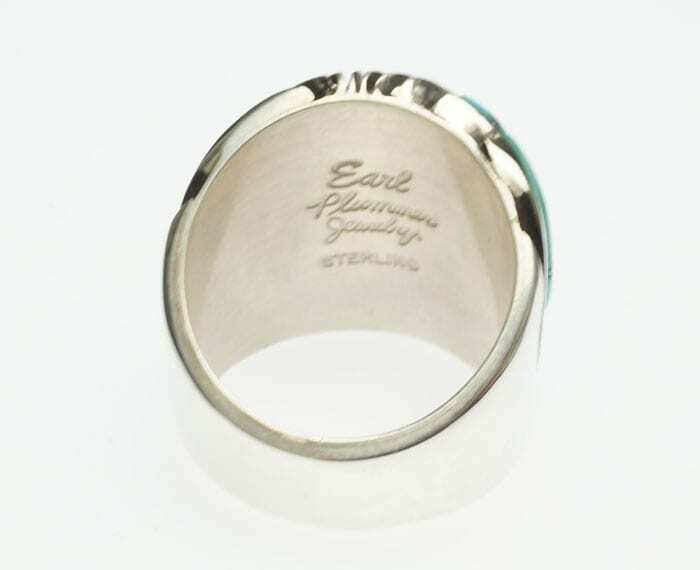 The sterling silver has a soft matte finish. Ring is size 8. It is 1/2" at its widest.